Why do people adopt attitudes of political alienation--attitudes of estrangement from, or lack of identification with, the political system? 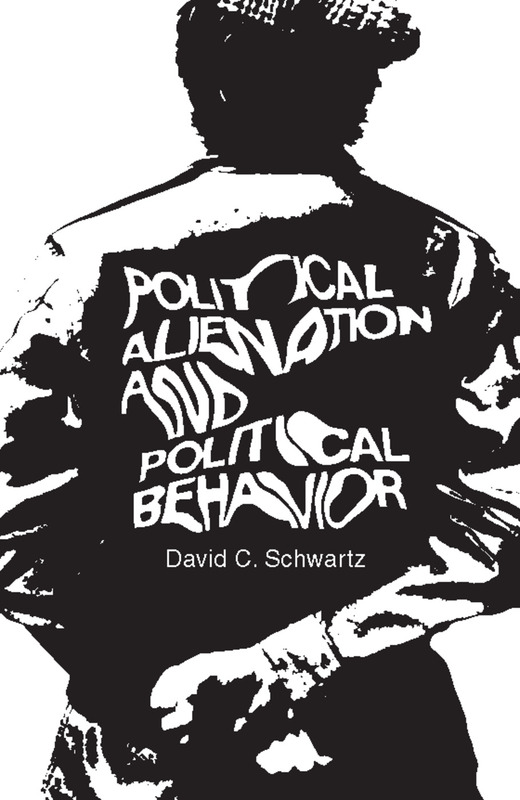 Why do some politically alienated people react to their alienation by engaging in revolutionary behavior, while others similarly alienated--become reformers or ritualists, and still others simply drop out of political activity?In Political Alienation and Political Behavior, David C. Schwartz attempts to answer these questions, challenging accepted theories of social status and economic difficulties and developing a completely new, three variable psychological theories to explain alienation. Based on observations of threat from value conflict, perceived personal inefficacy, and perceived systemic inefficacy, the theory includes a process model for predicting political behavior.The book is organized into a definition and discussion of the concept of political alienation, including reviews and critiques of relevant scholarly and popular literature; a theoretical explanation of the causes and consequences of alienation; presentation of data; research reports testing the author's explanation of political alienation; tests of a process model explaining the consequences of alienation; and a summary of the major findings of the research, indicating some of the directions that future research might profitably take.Fascinating reading for social scientists, this well-written book will be important to teachers and students concerned with U.S. politics and more generally with the relationship of economic, social, and psychological forces manifested in political behavior.